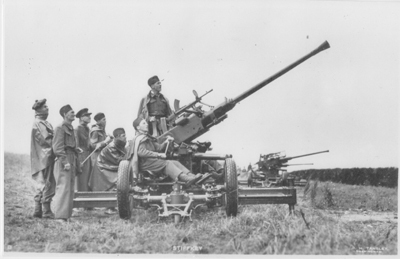 AA (anti-aircraft) defence was a key part of operations at Langham. 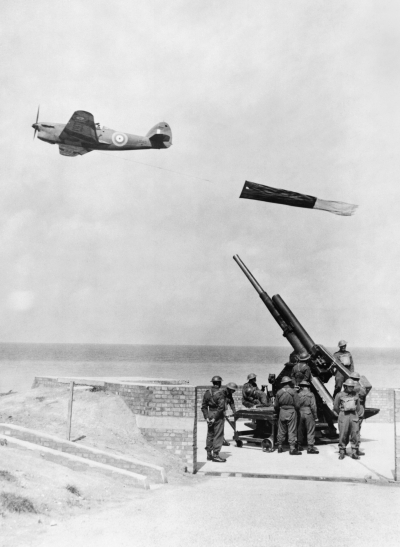 After practising in the Dome, the next stage in a gunner’s training involved live ammunition and a real flying target at Stiffkey and Weybourne. During and after World War 2 (WW2), target tug (TT) aircraft took off from RAF Langham to tow cloth targets for these nearby artillery ranges – a dangerous job! Although Langham’s Dome Teacher was ground-breaking and an extremely effective tool in improving AA gunners’ accuracy, it did not replace the need for physical practice in the field. Target towing at Langham therefore remained just as important. 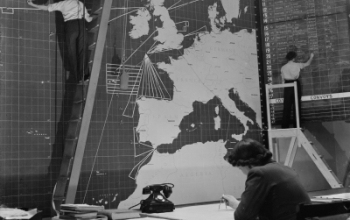 In fact, the airfield was originally created as a safe haven for TTs. 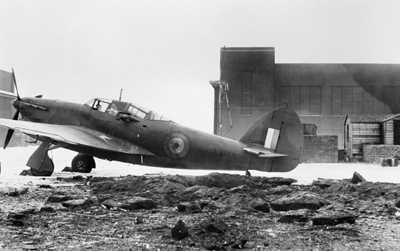 They played a major part in RAF Langham’s operational life. As other aircraft took on more glamorous duties, the constant task of target towing continued day after day. In 1941, when there was still just a grass air strip at Langham and the airfield had yet to be modernised or see the introduction of the Dome Teacher, No. 1 Anti-Aircraft Co-operation Unit (AACU) had 15 aircraft and about 200 people working on target towing. Three red flag targets were carried in the internal bomb bay of the Hawker Henley TT. These were 30ft (9m) long and 5.5ft (1.7m) wide when opened and 7lbs (3.2kg) of lead weights held them steady. A winch and drum below the rear cockpit held 7000ft (2134m) of cable by which they were towed. ffkey, 2.25 miles away, descended to 600ft (183m) when passing in front of the range. of No. 2 Civilian Anti-Aircraft Co-operation Unit (No. 2 CAACU) based here were, as the units name suggests, civilians. But nearly all had been in the RAF earlier in their career. fferent types of aircraft. Their Beaufighters, Mosquitoes, Spitfires and other aircraft were flown by ex-RAF pilots. Beaufighter TT10s began towing duty before Mosquito TT35s later arrived to take over. Vampire jets came later still for training and simulated strafe attacks on the army. Meanwhile, Oxfords carried out regular night exercises for searchlight AA crews. You also needed the right personnel for the job. Veronica Volkerz was the Unit’s only female pilot. At this time, female pilots were unusual. However, Veronica had flown many planes during World War 2. She wrote a book about her flying experiences called ‘The Sky and I’. Langham based Henley L3363 flies over Weybourne. It was one of nine planes lost due to engine failure during 1941-42. © IWM (RAE O-784). A Bofors gun and crew at Stiffkey. Find out more by visiting 'Rescue Wooden Boats'. © H H Tansley via Rescue Wooden Boats. A Henley of No.1 AACU beside a bomb crater at Langham's parent airfield, Bircham Newton. © IWM (CE 43). Image: A 2-seater bomber, turned target tug. The targets slowed the planes so much their engines overheated leading to many crashes and forced landings in north Norfolk. The winch operator sat in the rear cockpit. © Pete West. ff of No.2 CAACU. © Marshall of Cambridge. VAMPIRE T11 This small, fast, jet powered aircraft was mostly plywood, like the older Mosquito. 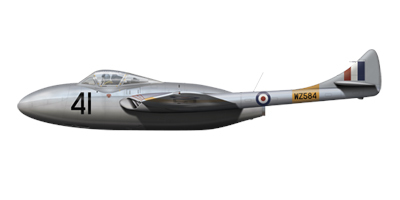 Three Vampire variants – FB5, FB9 and T11 – flew at Langham. © Andy Hay. 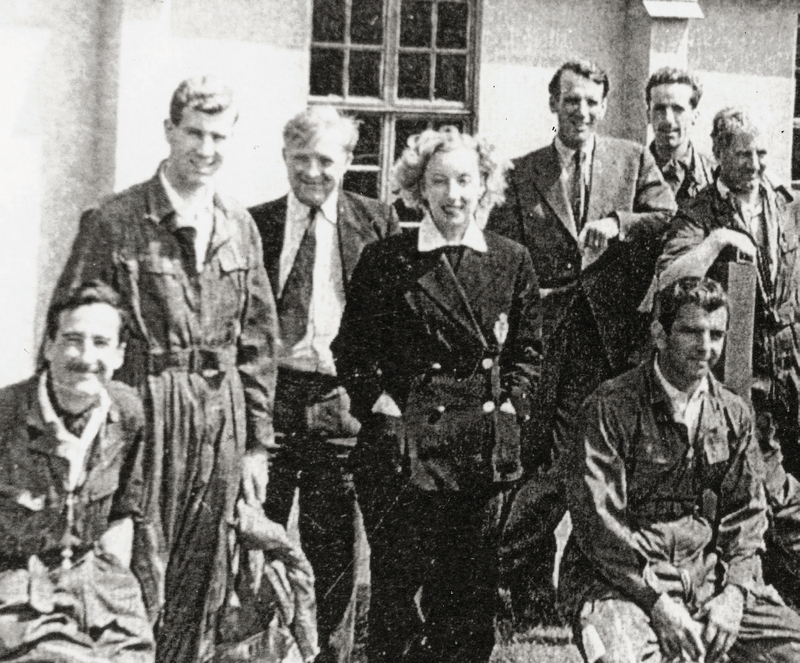 Veronica and other pilots of No.2 CAACU. © Ken Jackson. 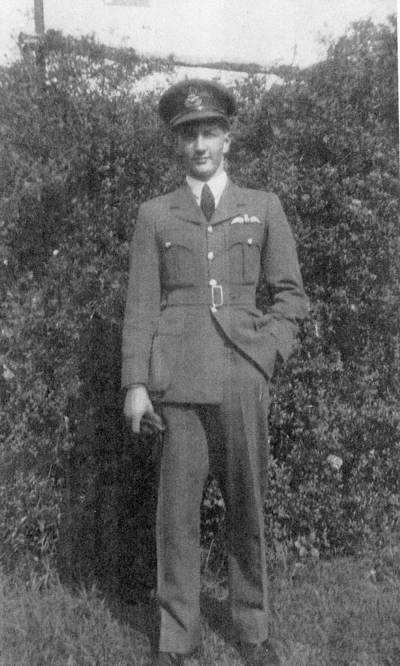 Donald Barnard DFC in 1940. Another civilian pilot, Barnard led a very colourful military career. He escaped from enemy-occupied France after his Wellington was shot down, was awarded the DFC, became a test-pilot and was sacked from the RAF for rescuing British POWs. A book has been written about his life. Image shown with permission from Duncan Richardson. Frank ‘Pop’ Higgins was the oldest member of the CAACU. He had been born before the Wright Brothers flew the first ever powered aircraft. 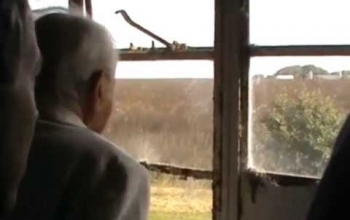 He had been a pilot during World War 1 flying flimsy canvas and wood bi-planes. 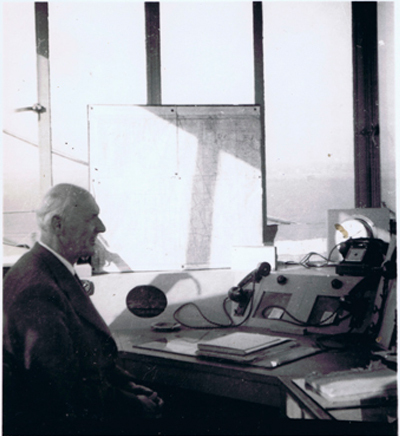 At Langham, he was in charge of the flying operations of jet aircraft. © Ken Jackson.